Slimline pen made with gold plated hardware. 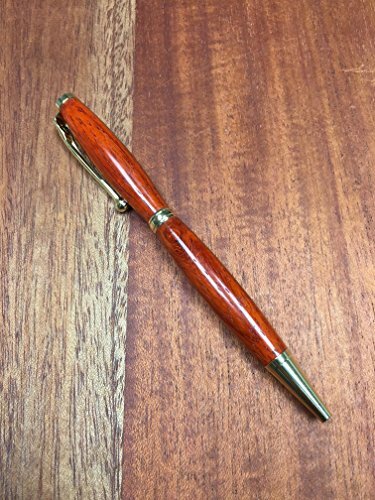 Wood is African Padauk which has a vibrant red color. Each pen has unique grain and is different from one another.